Criss Cross brushed poly spandex ice skating pants. 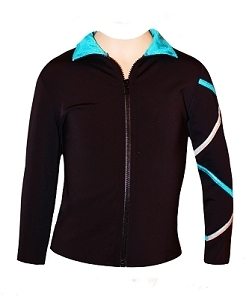 High performance fabric offering soft to touch brushed inner surface and quick drying spandex outer side. Shiny Turquoise wide waistband and bottom hem gives new sharper look and movement comfort. Practice your favorite figure skating elements in bright and comfy ice skating pants. Copyright Ice Fire Skate Wear. All Rights Reserved. eCommerce Software by 3dcart.